David and Elizabeth Holmes opened their first Kiddie Academy in Glendora, California on June 28, 2011. Natural entrepreneurs, the Holmes’ wanted to continue growing their business in the education-field, an area that Beth is passionate about. A year later they opened a second location called Kiddie Academy of Murrieta. 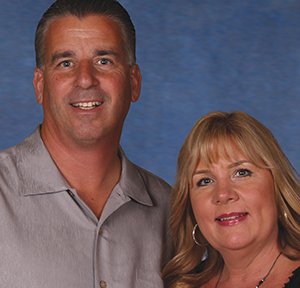 As the owner of a precision grinding business for over a decade, David enjoyed the perks of making his own schedule, while his wife Elizabeth worked as an educator in the Los Angeles school system. Seeing the flexibility David had on a day-to-day basis made the Holmes’ realize they wanted to find an opportunity where both David and Elizabeth could work together and still maintain flexible schedules. The Holmes’s knew they wanted a franchise and since education was so important to Elizabeth, they began researching child care options in 2007. They chose Kiddie Academy because of the comprehensive support from the corporate office, the strong programs, and the exceptional curriculum and standards the franchise upholds in the academies. Their hard work has paid off. David and Beth are now savoring their positive reputation in the community and seeing firsthand the impact they have on their students. The academy often sees Kiddie Academy graduates come back for before- and after- school programs, which is rewarding for both of them. The Holmes family has received several awards and nominations over the years that include: Kiddie Community Leadership, Sales and Customer Service, Best Practices: Community Building, Best Practices: Developmentally Appropriate Curriculum and Best Practices: Health and Fitness.